After having to cancel my trip to Uganda last month, I am relieved that my back is much better, and I will be able to leave for Malawi on Friday (April 5th). For anyone who doesn’t know where Malawi is, it is the country in the east of Africa surrounded by Tanzania, Zambia and Mozambique. It’s one of the countries that was hit by recent cyclones along with Mozambique and Tanzania. Many people died, and countless more are left homeless and hungry. My heart breaks for them. I will be going back to the areas that I visited in 2017 and 2018. The people I know are in the central and northern areas of the country and haven’t been affected by the cyclones. Though this is good news, I am so sad for this poor country that often suffers at the hands of Mother Nature. We will be working with our tailors, going to schools to distribute our kits and health curriculum as well as helping to build a new girls’ bathroom at one of the school where we have been working. My friend Charlotte who is going with me will be teaching some art classes too. I’ll get to help her which will be a blast. I’ll be writing this BLOG but internet is spotty, so you may not see much until I return on Easter Sunday. The MoonCatcher Project has been pretty busy in the last few weeks. 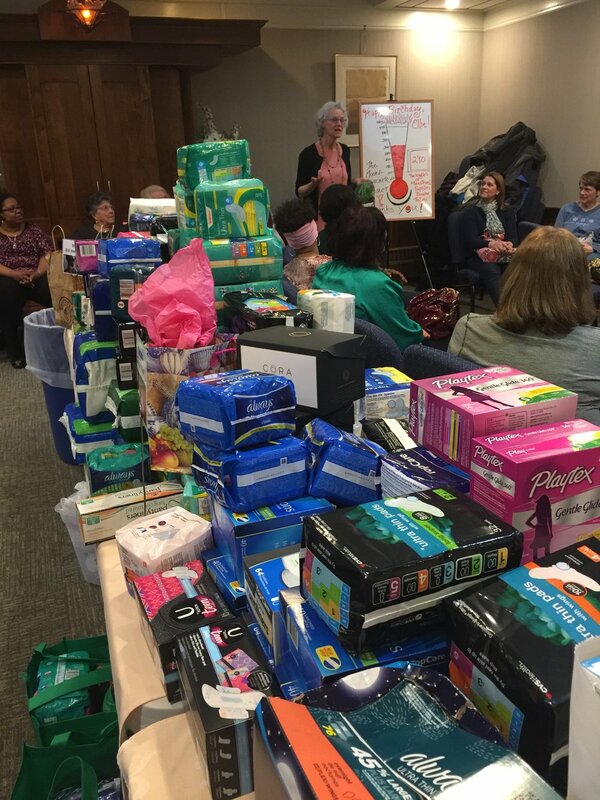 Our Birthday Bash event brought in over $1500 worth of disposable menstrual supplies that we immediately sent home with 5 organizations that serve women and girls who need these products. We had birthday cake and punch for everyone who showed up. There have been plenty of MoonBees and presentations too and we’ve managed to put together over 200 kits to bring to Africa – all made by volunteers in our community. Thank you all. MoonBee at St. Kateri Takakwitha Parish on March 30. 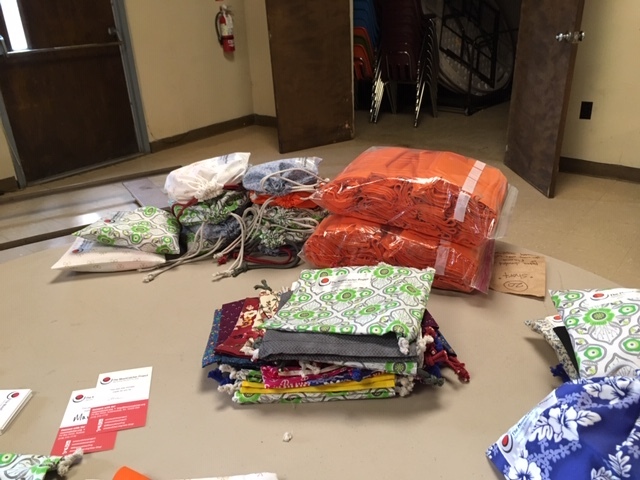 Some of the 200 kits we have completed to take to Malawi. I’ve got to get back to packing but wanted to write a quick update and heartfelt Thank You to all the people who make this project work. I am so grateful.